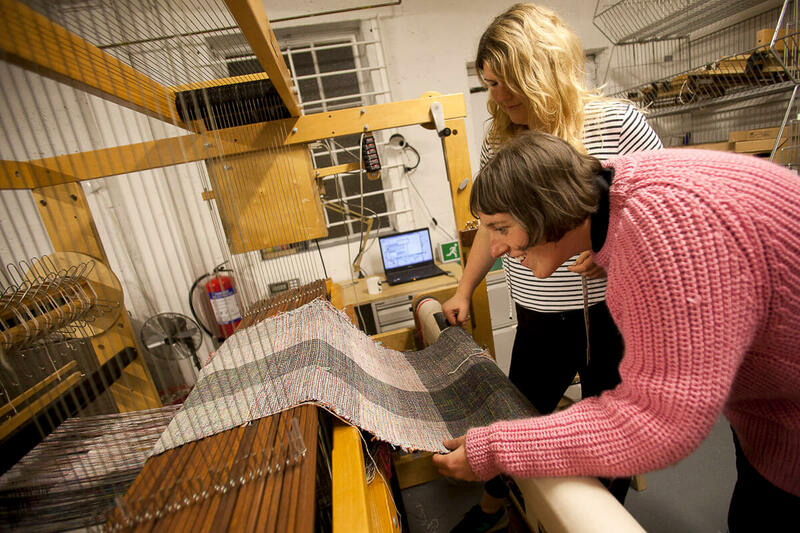 Just through the wall of the Antiform studio is the sound of an industrial loom chugging away producing lengths of cloth at the Bristol Weaving Mill. 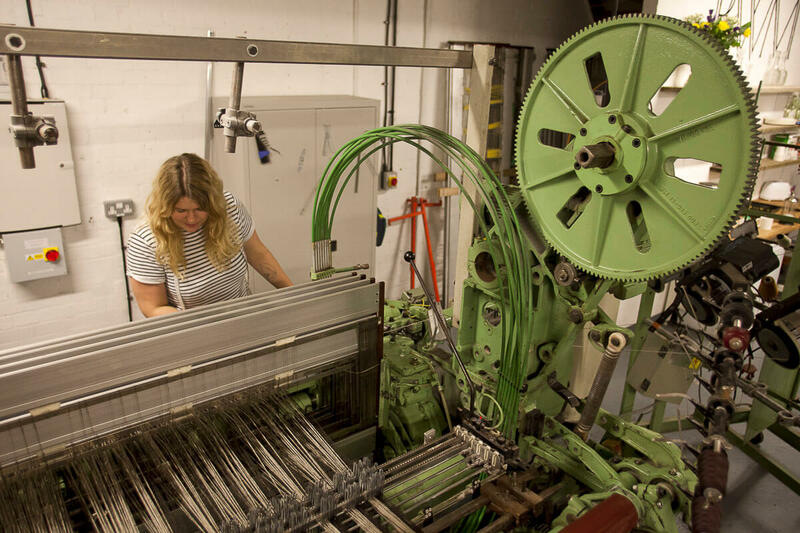 BWM is a micro-mill making cloth in Bristol city for the first time in 100 years. 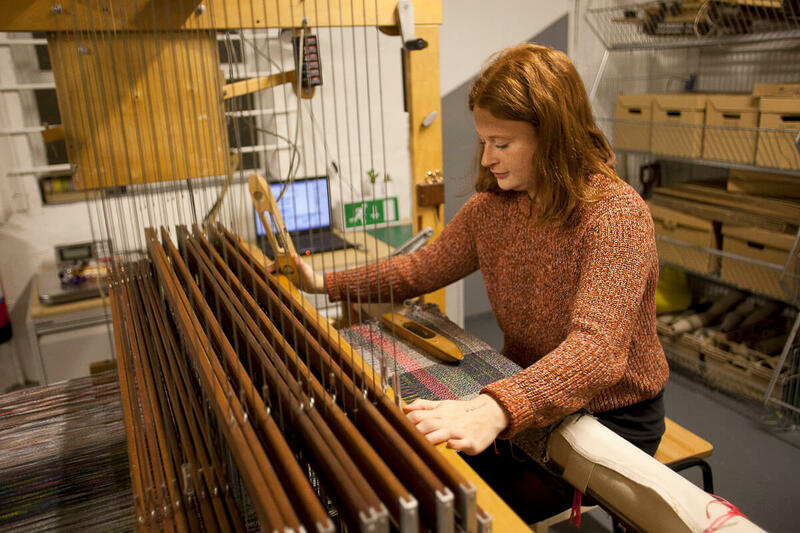 With Antiform machines a mere 10 paces away from their heritage loom, when we were confronted with beautiful waste yarn and the opportunity to have it made into Antiform’s own tweed, how could we resist? 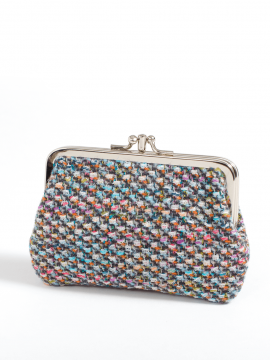 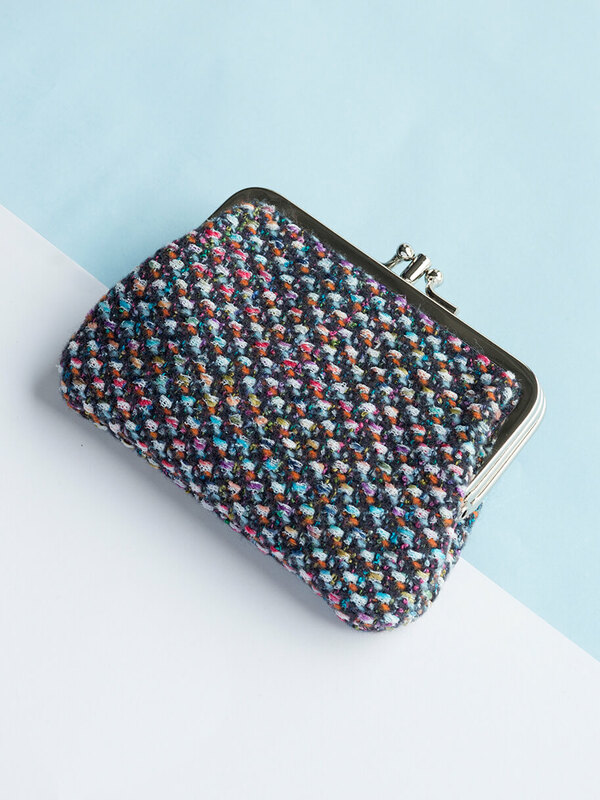 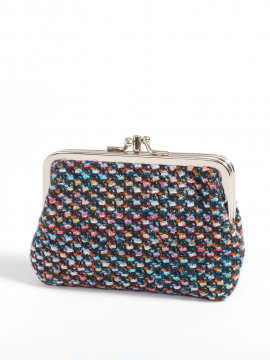 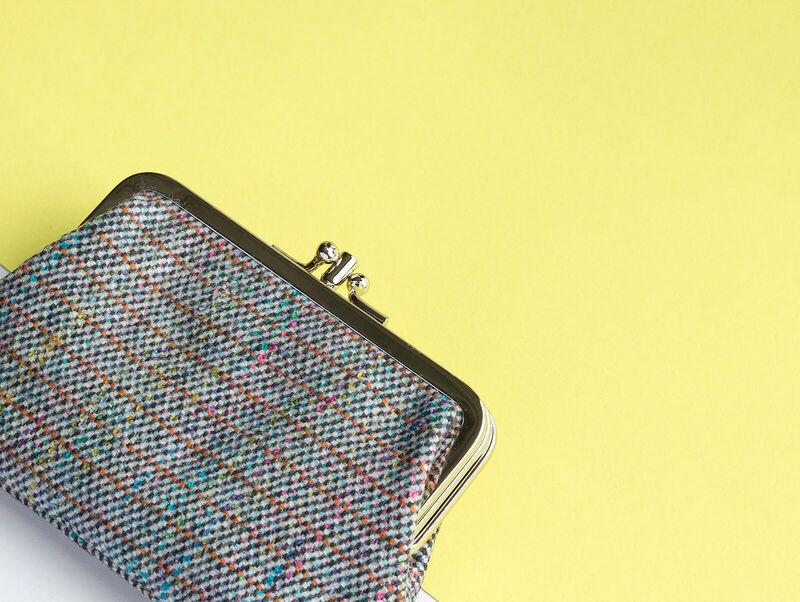 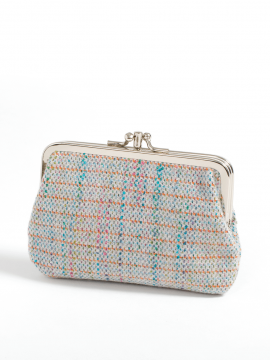 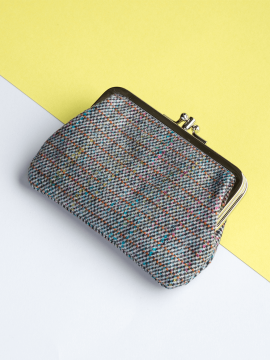 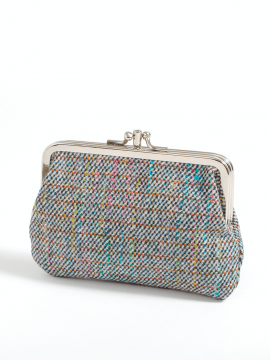 Working with extraordinary quality waste cashmere and wool yarns from Scotland and experimental fancy yarns from the midlands, BWM designed and produced 4 exclusive tweeds for our clip frame purses, woven and made in-house. 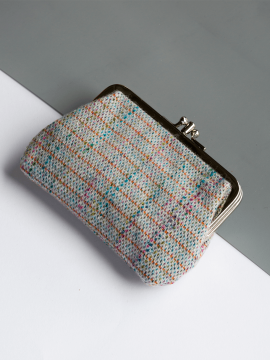 As we were more used to designing clothing than the cloth itself, it took a few attempts at combining colours and textures on little cards of hand woven examples before we were presented with a whole ‘blanket’ of options. 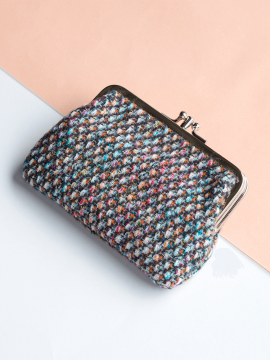 We had to consider the weight and handle of the cloth as well thinking of the design in terms of unisex products – and of course getting enough colour in to make it truly an Antiform product! 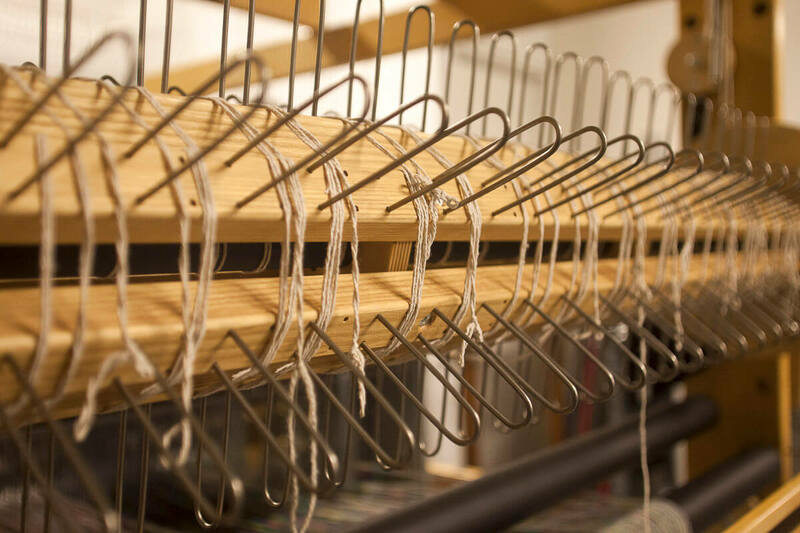 The weaving mill changes the yarns on a single piece of cloth to give examples of all the design options. 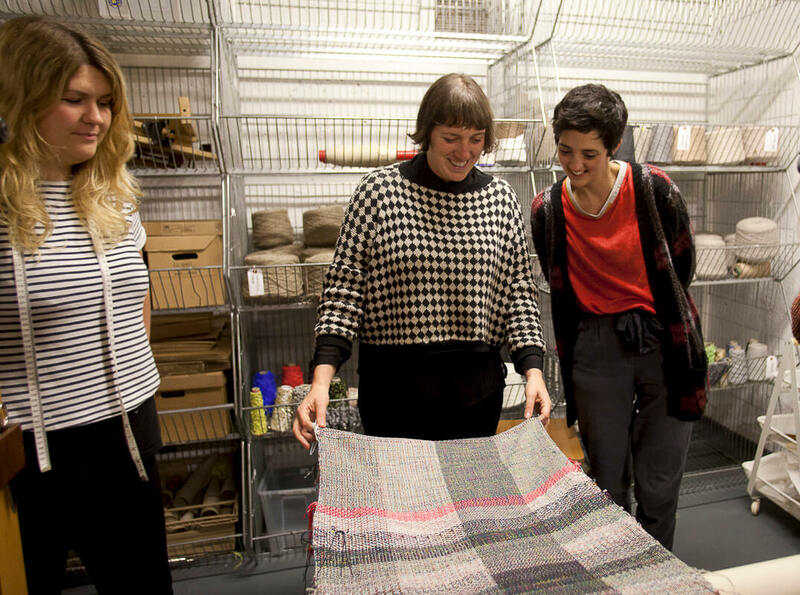 From the small sections of cloth we were able to put together our collection.